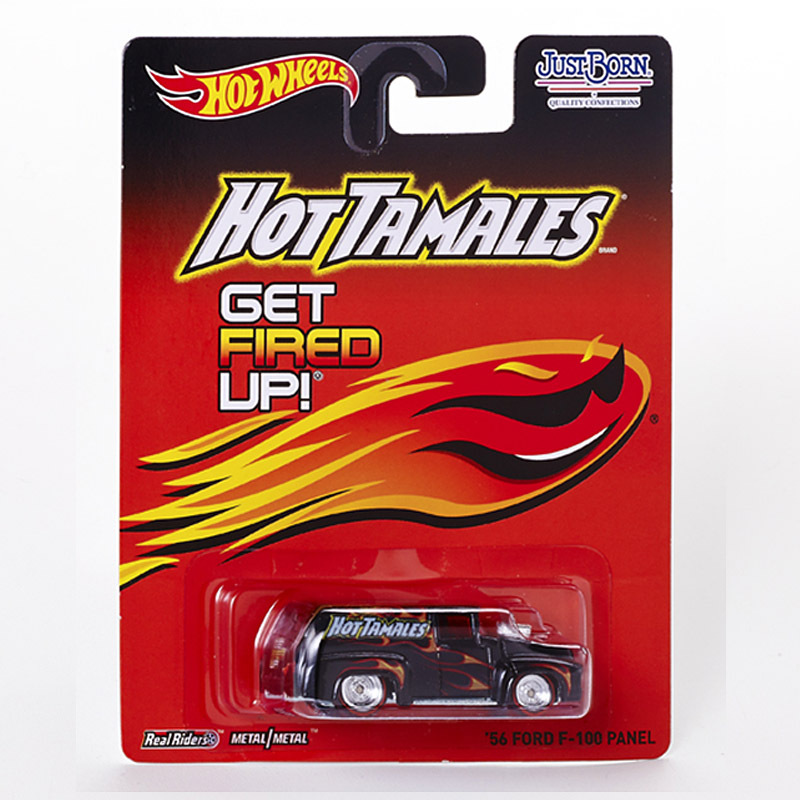 If It's Hip, It's Here (Archives): Six Sweet Rides From Hot Wheels and Just Born. 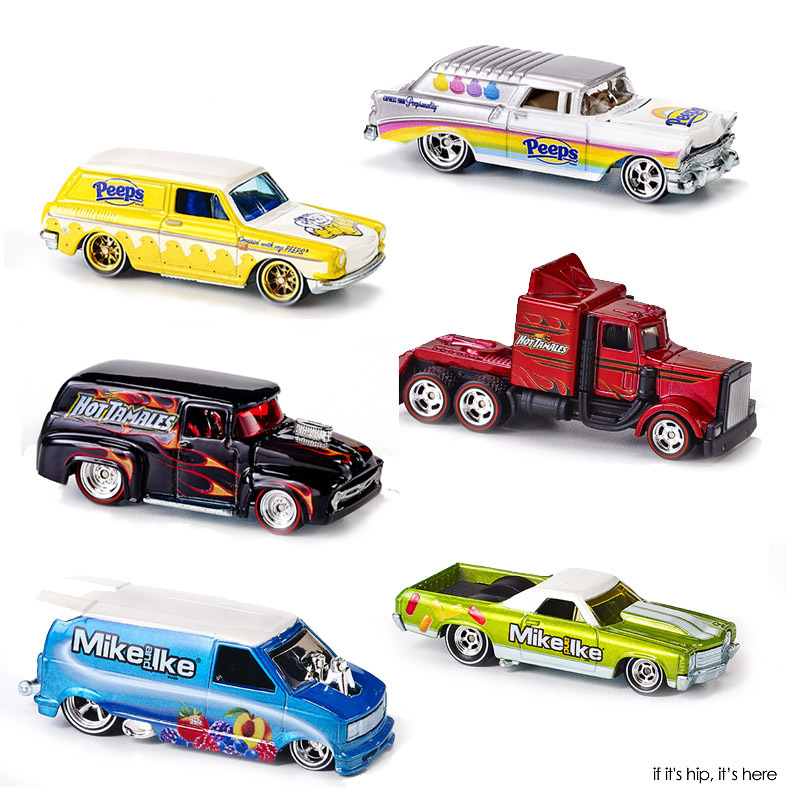 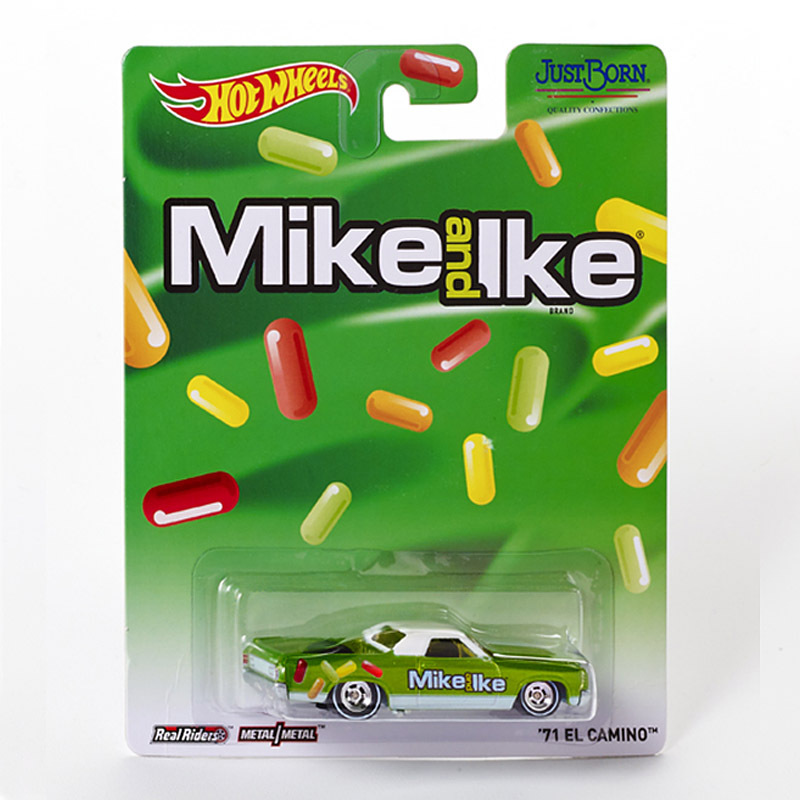 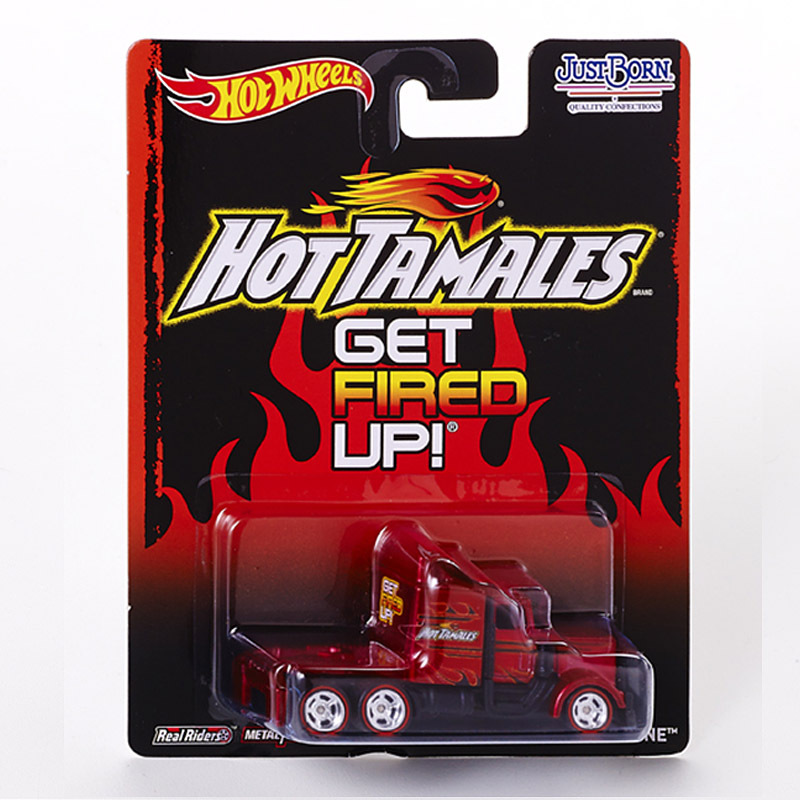 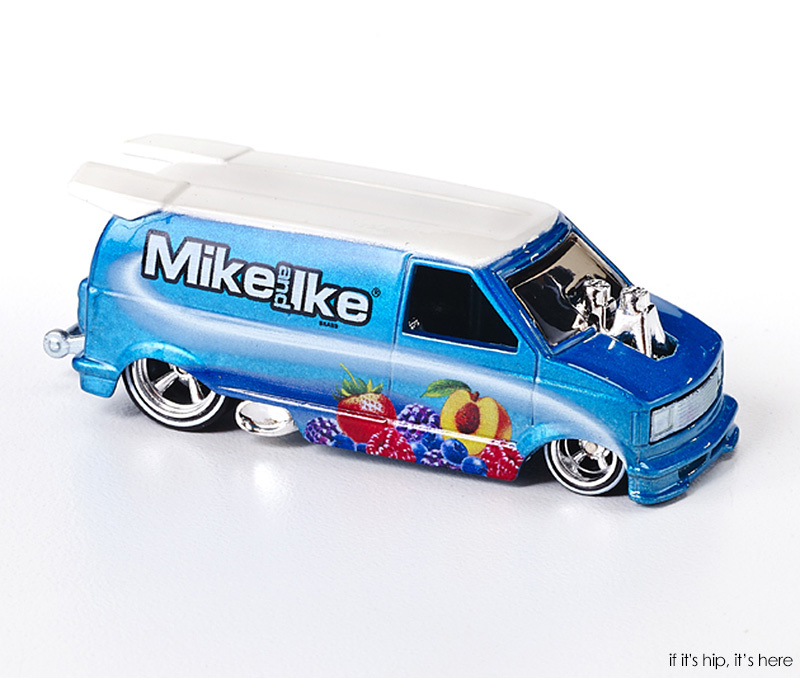 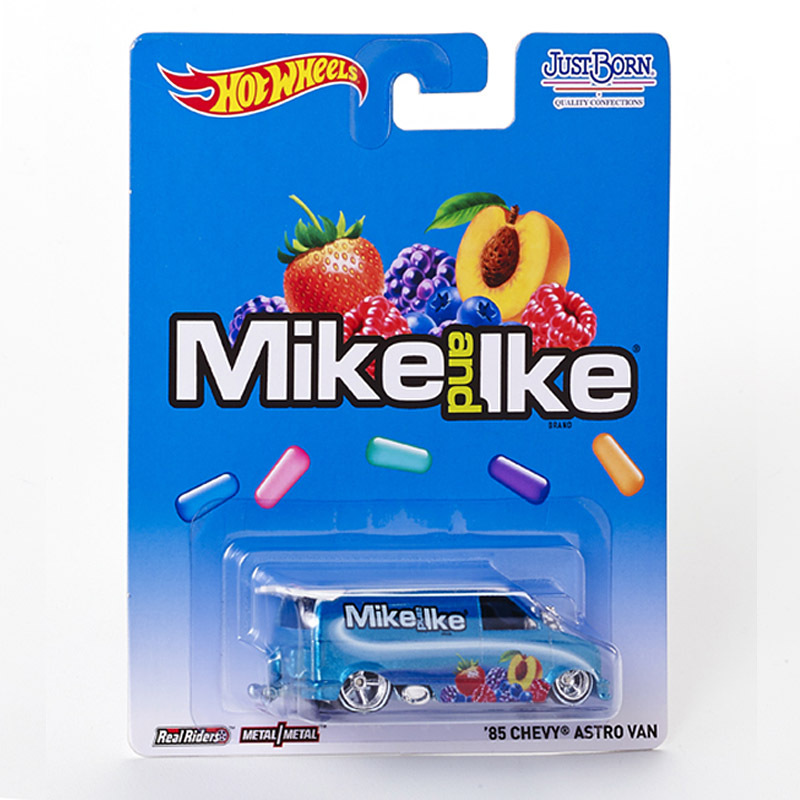 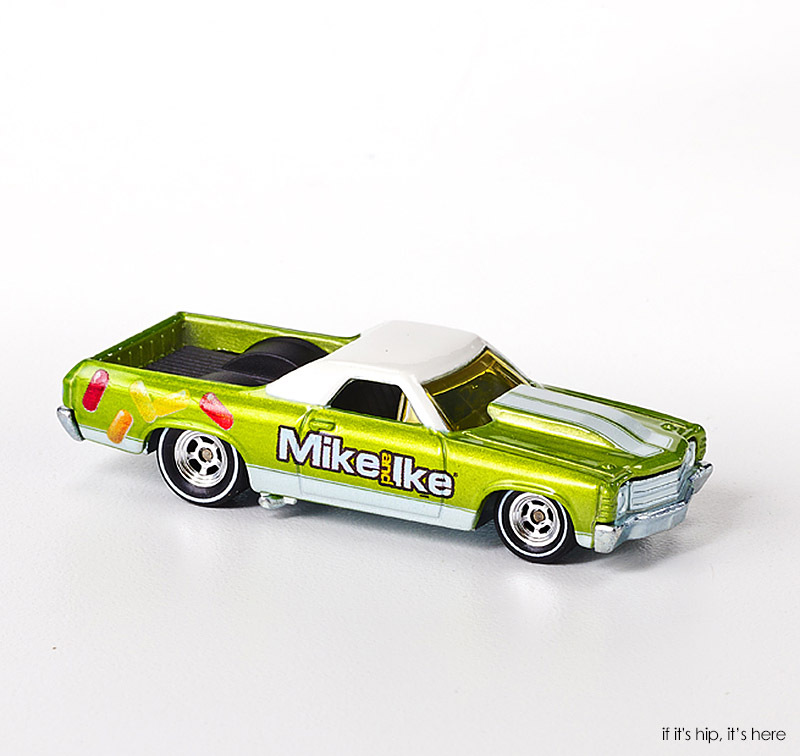 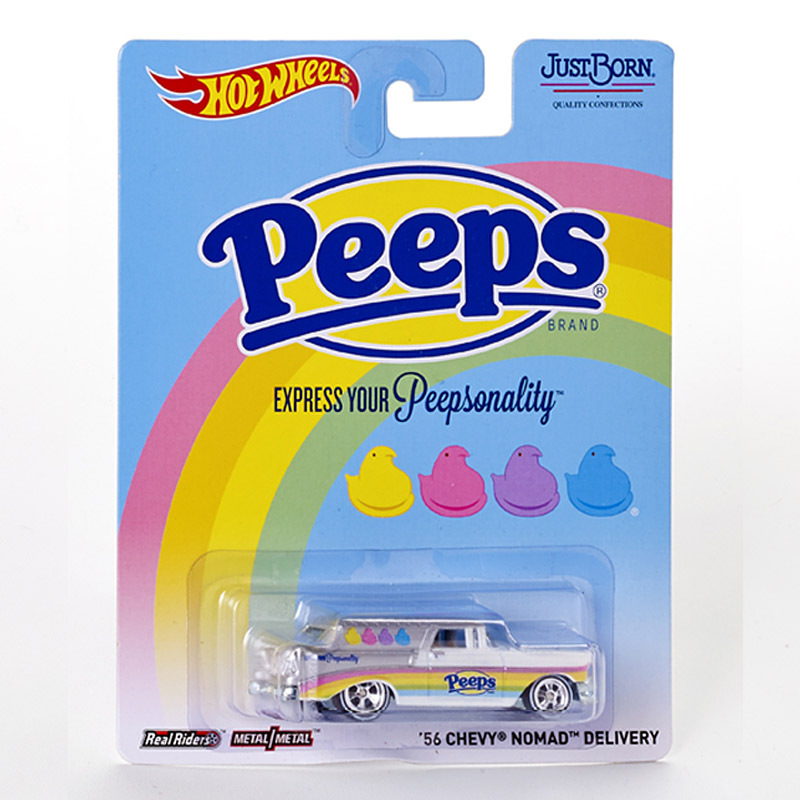 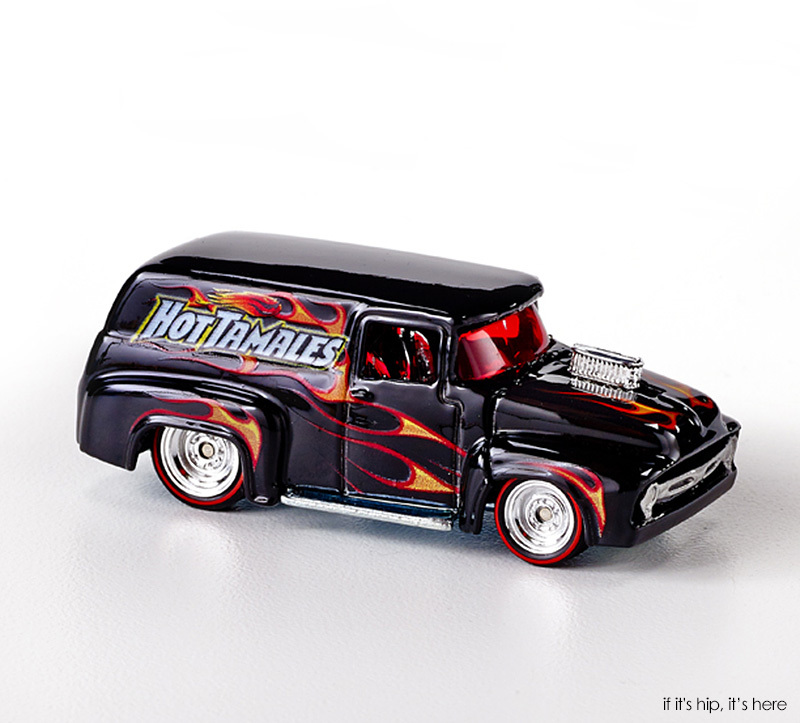 Just Born, Inc., the makers of Easter Peeps and such candy favorites as Mike and Ikes and Hot Tamales, has teamed up with Mattel's Hot Wheels for a limited edition collection of six super sweet rides. 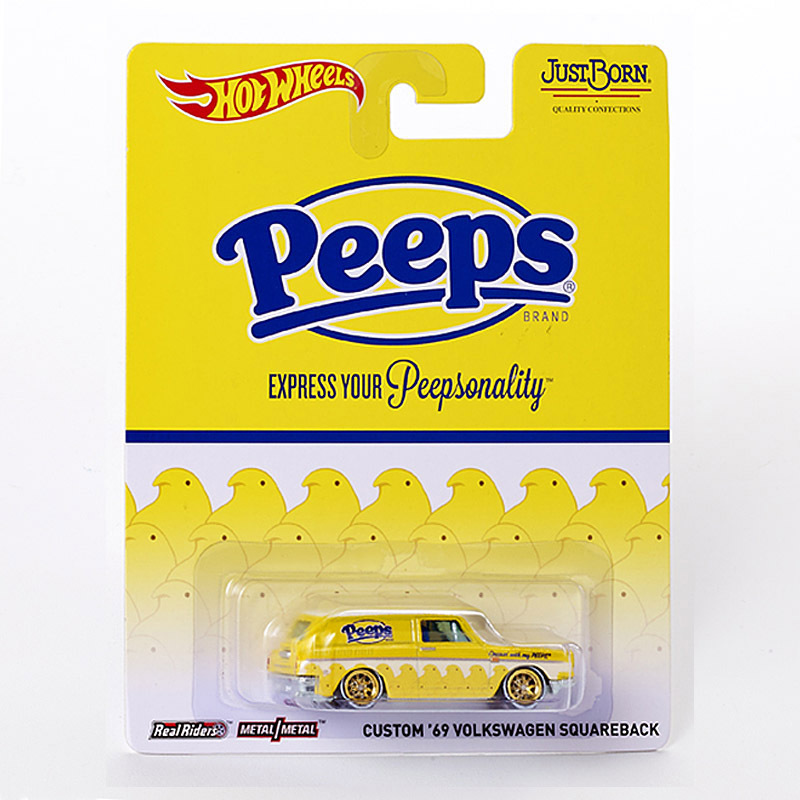 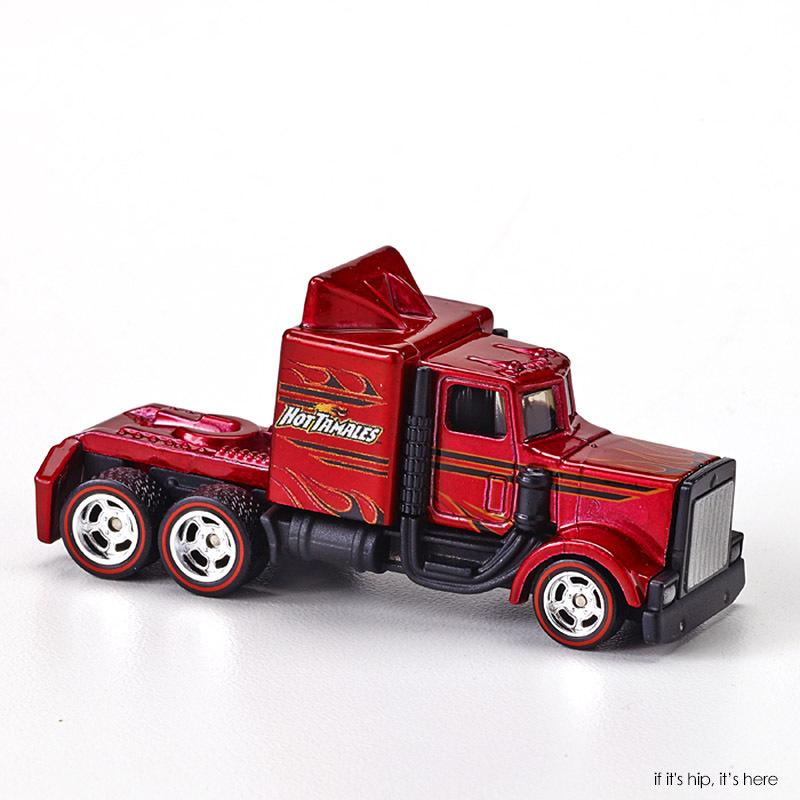 The miniature vintage cars and trucks feature the candy company's products and logos.